Dynamic decision making' describes the practice of anaesthesia more than any other single characteristic - and anaesthesia is characterised by dynamic decision making more than any other medical speciality. The typical surgical case requires the anaesthetist or anesthesiologist to make hundreds of decisions, modified to suit the evolving environment of the case. Each decision itself modifies the patient context, creating a multiverse of decision and outcome possibilities. "We find that the percentage of favorable rulings drops gradually from ~65% to nearly zero within each decision session and returns abruptly to ~65% after a break." Most people have experienced decision fatigue when shopping: rows of impulse-and-sugar presented invitingly next to the supermarket checkout queue. Fatigued by a constant stream of decision making while shopping, we are more susceptible to the impulse buying of a treat. Dan Spears, a Princeton economist, studied this consumer decision fatigue in the poor.4 He used a model of selling soap in an Indian village, demonstrating that for the poor each financial transaction (ie. buying soap, even if at a cheap price) required a significant weighing of cost and benefit. This cognitive overhead accumulates, worsening the quality and rationality of subsequent decisions. The complexity of these decisions. Together these wreak a toll on our decision making performance, though the exact reason is unclear. 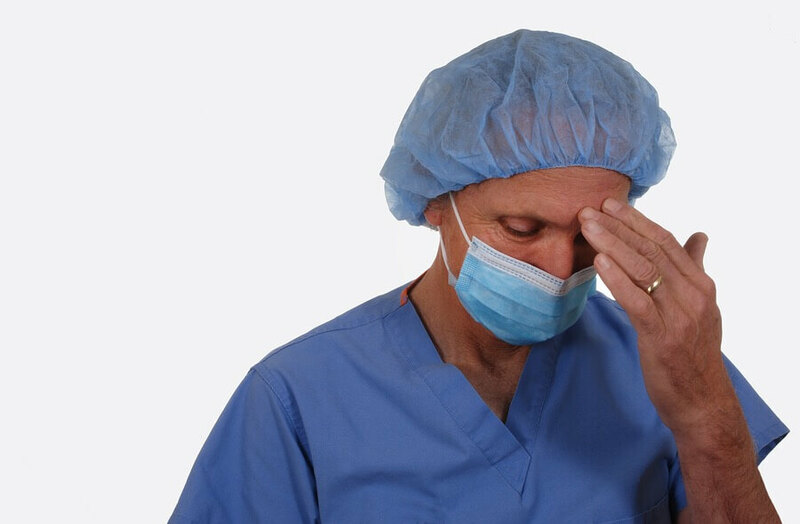 Decision fatigue can have a critical effect on anaesthetist performance, particularly in crisis situations when faced with a hundred small decisions over a few dynamic, rapidly-evolving minutes. The correct decisions may quickly resolve the crisis while flawed choices escalate or worsen the situation. The more complex and mentally demanding each decision is the greater the withdrawal from an anaesthetist's finite mental resources. Complex anaesthesia techniques not only create more points of failure, but also place a greater decision burden on the anaesthetist. This is not to say that you should only practice simple anaesthetic techniques, but rather avoid unnecessary complexity when it adds little benefit for your patient. Appreciate that there are small costs to complex techniques that may need to be paid: will your patient pay that price? The rise of the medical checklist has been a useful addition to our practice, though in many instances the checklist ideology is driven by a bureaucratic need for auditability instead of quality improvement. Checklists and crisis algorithms (eg. difficult airway and advanced life support algorithms) that have been optimised for your own practice simplify the decision making process during critical moments. The key is to have both an ownership of the algorithm (be invested in actually applying it) and to have repeatedly practiced or simulated the process before. By having previously considered the scenario you both reduce the mental cost of making each decision (by reducing available options from infinite to manageable) as well as increasing the chance that the correct decision will be made. In a crisis calling for help should be one of our first actions. Calling for help breaks decision paralysis and by providing an outsider's perspective on the problem improves decision quality. The caveat is that we can get too much of a good thing; too many helpers dilute responsibility and distract from critical priorities. The key is calling for the right help. Like many performance traps in anaesthesia, half the battle is won when we gain insight into how a challenge is expressed in our own practice. Decision fatigue is a particularly insidious threat as we are often unaware of its presence or effect. The anaesthetic crisis is a particularly ripe time for decision fatigue to undermine our performance.